Pasta alla papalina is a creamy pasta recipe from Rome named after Pope Pius XII, who was the inspiration behind its invention. 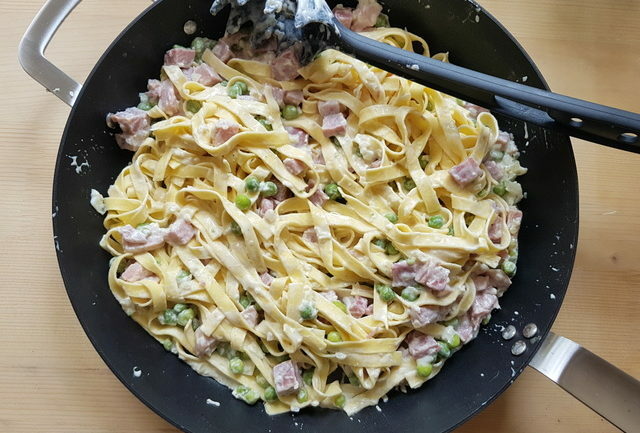 Usually made with fettuccine, this dish is super simple to make and a great way to use up leftover ham! 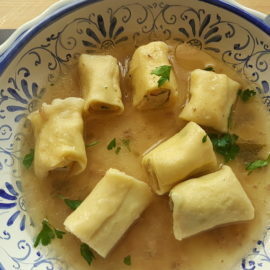 Italians love to talk about food and there is often a lot of discussion about what the authentic ingredients of certain traditional recipes should be. Among the many food and wine debates I’ve heard, a common one involves one of the jewels of Roman pasta recipes, fettuccine alla papalina. People debate what cheese to use, pecorino Romano or Parmigiano? Which type of ham, cured or cooked ham? Use cream or not? Add peas or no peas? In order to understand why all these questions, it’s good to know the history of this relatively modern dish. Simply put, ‘alla papalina’ means ‘of the Pope’ . But actually the word refers to the Pope’s skullcap! The Pope in question was Eugenio Pacelli known as Pius XII. A little alla papalina history. Eugenio Pacelli became Pope Pius XII in 1939. There are different versions to this story, but one is that when he was still a cardinal, Eugenio Pacelli used to eat his meals at the La Cisterna restaurant in Rome. One day, he asked the chef to make him a different pasta dish than usual, one which respected Roman culinary tradition but was less fatty and more digestible. Apparently, the chef then created this pasta alla papalina based on ‘alla carbonara’. He replaced the semolina pasta with egg pasta, guanciale with cured ham, Roman pecorino with Parmigiano cheese and added sautéed onion cooked in butter. However, the raw beaten eggs in carbonara remained. The main problem with this story is that if it happened before the war, then the belief that carbonara was invented for American soldiers when they occupied Rome is false! Other stories date the invention of pasta alla papalina to the 50s, when Eugenio Pacelli was Pope Pius XII. The chef in question then was the Vatican chef! Whichever version is true, today fettuccine alla papalina is considered a traditional Roman pasta recipe. This dish is also still on the menu of the La Cisterna restaurant. Different versions of the recipe. Obviously with all the debate, there are different versions of this pasta alla papalina recipe. 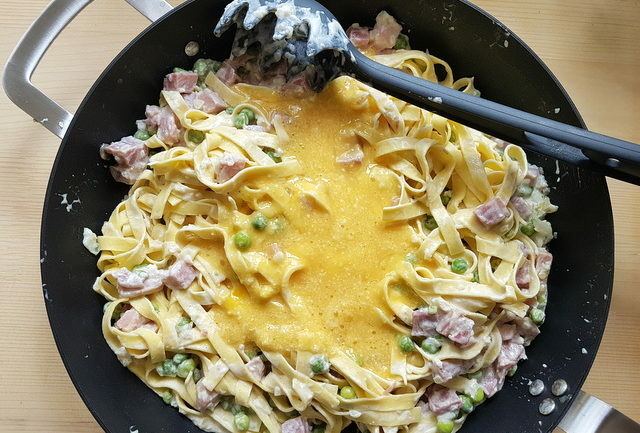 However, the basics are mostly the same; Egg pasta noodles (usually fettuccine), ham often cured but many people use cooked ham, eggs and cheese. Peas may not be considered an authentic ingredient in this dish by some, but I have seen many versions with them. 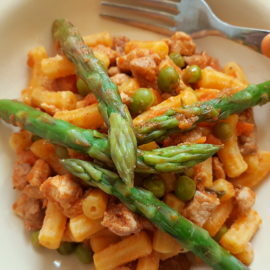 I added peas because they are in season now and they are a health addition to this delicious dish. Some recipes for this alla papalina include heavy cream, some don’t. I added the cream and loved the result. I think you will too! Making this pasta alla papalina. I also decided to use cooked ham instead of cured. Many people traditionally eat ham at Easter or other holidays, especially in US. 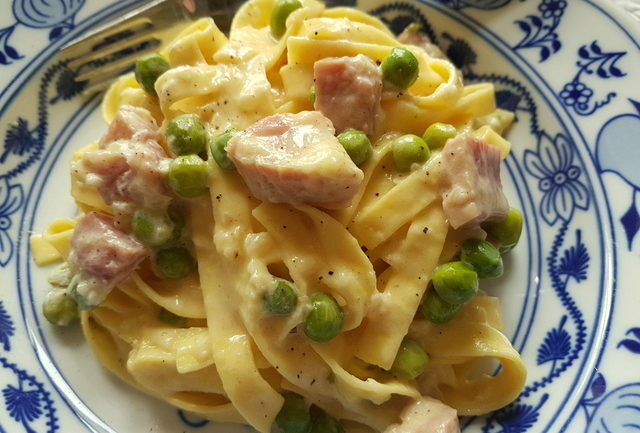 Fettuccine alla papalina is a great recipe to use up leftover ham. However, if you prefer you can use prosciutto crudo, such as San Daniele or Parma ham. This is a very quick and easy to make recipe. In fact, you can make the sauce while boiling the water for the pasta. 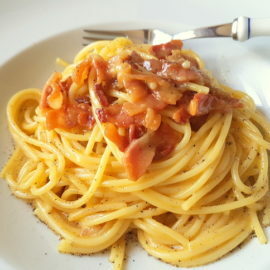 Like in carbonara, the beaten eggs are added after the cooked pasta and sauce are mixed together. 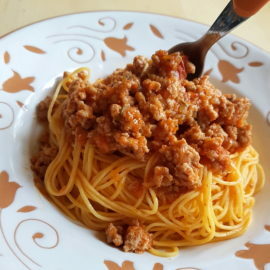 The result is a very creamy and flavourful pasta dish. One that I’m sure you will make time and again! If you do try this pasta alla papalina recipe, I’d love to hear what you think. Please write a comment here on the blog or post a comment on the Pasta Project Facebook page. Other traditional pasta recipes from Rome. 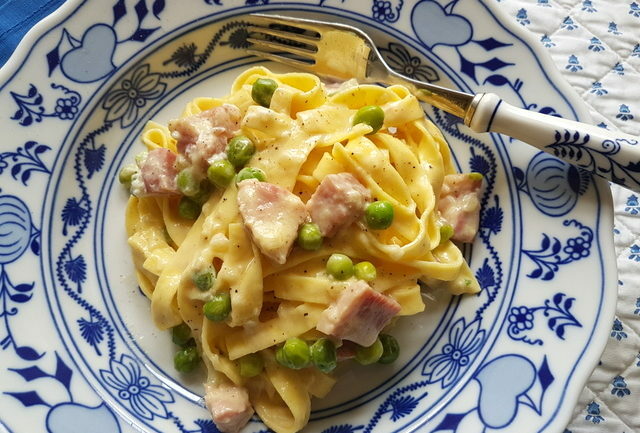 This creamy fettuccine recipe from Rome is easy to make and seriously delicious. A great family weeknight meal and perfect for using up leftover ham! 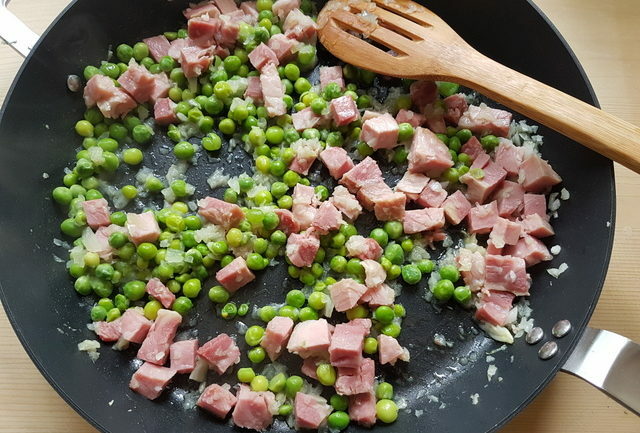 Shell the fresh peas (if using), peel and finely chop the onion, cut the ham into small cubes/pieces, beat the eggs in a bowl with the grated Parmigiano. 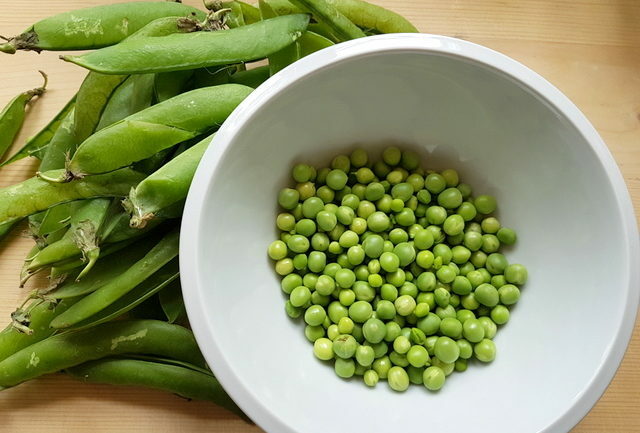 If using fresh peas you will need to cook them in a little boiling salted water for 10 minutes before draining and adding them to the sauce. Fresh peas take longer to cook than frozen. Put a pot of water on to boil for the pasta. Add salt once it starts to boil and bring to the boil again. Cook the finely chopped onion in the butter or olive oil in a skillet or frying pan until translucent. 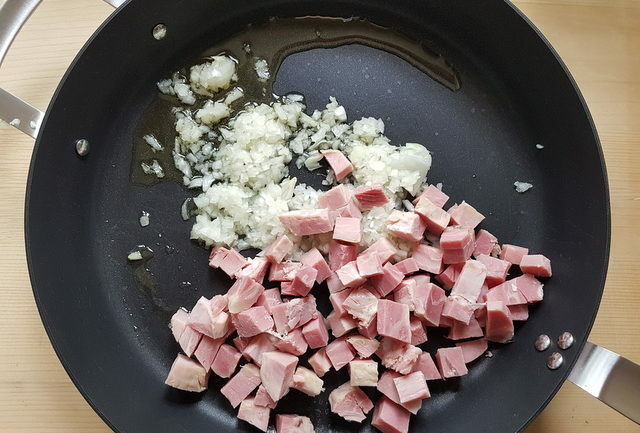 Add cooked ham or prosciutto, and allow that to cook for a few minutes. Then, add the peas and cook for a couple of minutes more. If using fresh peas and they seem a little hard, add a little water and cook for a bit longer. Then add the heavy cream (Italians use panna da cucina) and allow the cream to reduce a bit. Add ground black pepper and salt to taste. Cook the pasta al dente according to the instructions on the packet. Fresh pasta will need only 1-2 minutes. When cooked, drain the pasta (but keep it a little wet) and add it to the cream sauce. Then pour the beaten eggs and cheese over the pasta and sauce. Mix everything together well until the pasta is coated in a creamy sauce. Serve immediately, with generous sprinkling of ground black pepper and additional grated cheese if required. Pasta alla Papalina is usually made with fettuccine but I also use tagliatelle. Although tagliatelle is slightly wider, there's often no difference between these two pasta ribbons. You can leave out the peas if you wish. The original recipe is said to be without peas. However, nowadays many Italian include them. Fettuccine; fresh, dried, smooth and ridged. Maccheroncini di Campofilone pasta with Marchigiano ragu. I love the paste and peas combo, and thst looks so rich! Thanks Michael! I love pasta with peas too, especially fresh peas! I love a good pasta dish! This looks so easy and delicious! Thank you Shanika! Yes this is a pretty easy pasta recipe and very yummy! I love all pasta – this is perfect for Spring! Thank you! Happy you like this recipe Tawnie! Yes this is a great spring recipe! I love how creamy it is! So good! Thanks so much Toni! Yes very creamy! I love when I can prepare the sauce while boiling pasta! For this recipe I have everything on hand so will be trying it soon. Thanks for the inspiration! I’m sure you’ll love this dish Julia! 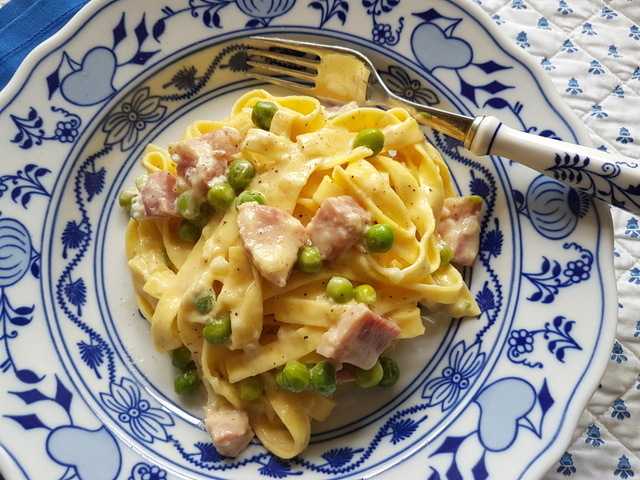 Definitely making a version of this with leftover ham – I love the cream sauce with peas! 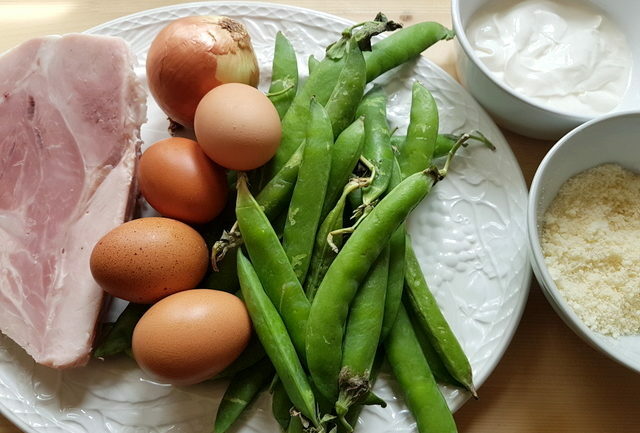 This is a great recipe for leftover ham Lauren! The peas are a wonderful addition. The dish is sophisticated yet simple to prepare and I am certain delicious, perfect for entertaining at this time of year. Thanks Neli! Yes peas go so well with pasta, especially fresh peas!This recipe is perfect for entertaining or family meals! I almost love peas in every food 🙂 This pasta looks absolutely delicious, can’t resist making one this evening. Thank you Meghna! I’m sure you will really enjoy this pasta recipe! The peas go so well in it! This looks wonderful. I can’t wait to make this. Thank you Jacqui, and your photos are awesome! Aww thanks Bee! Happy you like this recipe and the photos! Mmm this looks so yummy! Pasta is always a favourite in my house and this dish looks so perfect and comforting!! Totally drooling! 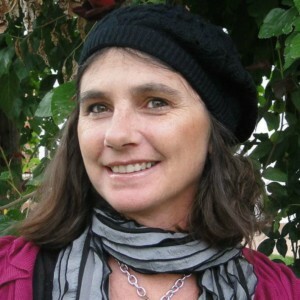 Grazie Rosa! Pasta is a favourite in our house too, of course! This is a great family recipe that everyone is bound to like! now this is my kind of dish. 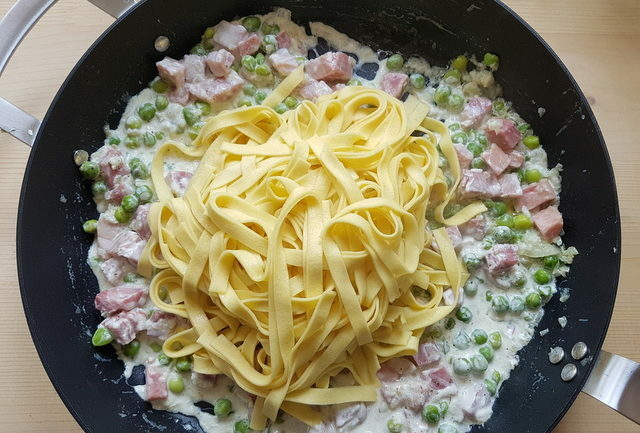 a creamy pasta with ham….so delicious! It’s 330 AM and I am already drooling over this!! So pleased you like this recipe Danielle! 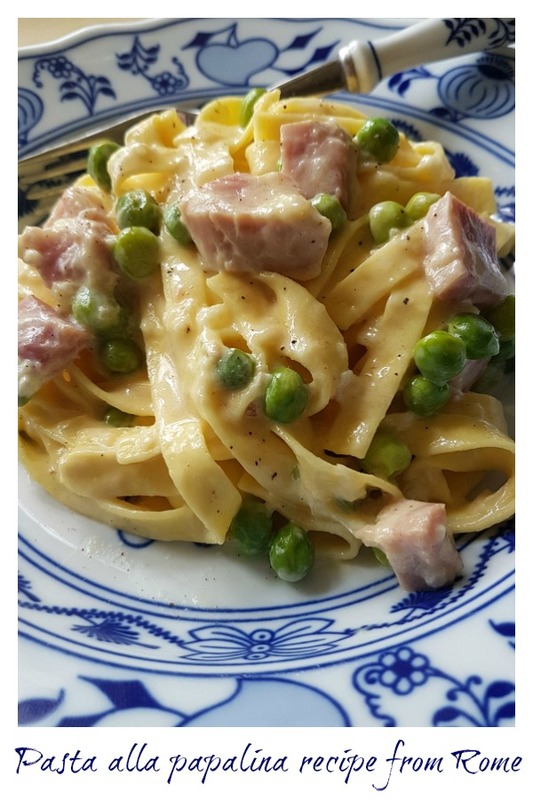 Creamy pasta with ham is a favourite of mine too! Great recipe. And I loved learning about the papal history! You are making me miss Rome now. I ate so much good food there. I am going to have to make this! This looks so, so tasty! I love peas in, well just about everything!! And I need to practice adding more eggs to my pasta dishes! I love learning the history behind different recipes, and this one is so interesting. I can imagine this with fresh peas from the garden – it sounds delicious! This looks and sounds super delicious and easy to make.. I make always looking for some easy meals ideas and this fits the bill! Thanks! This is my kind of pasta. 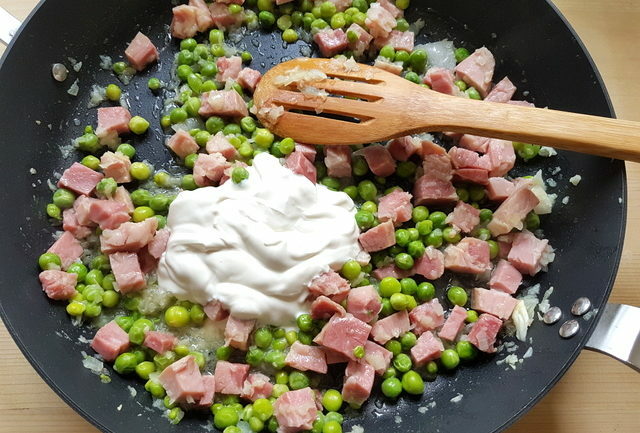 I love the addition of cream and peas. Super delicious. I will be making this often. Oh and thanks for the history of the dish. Very interesting. 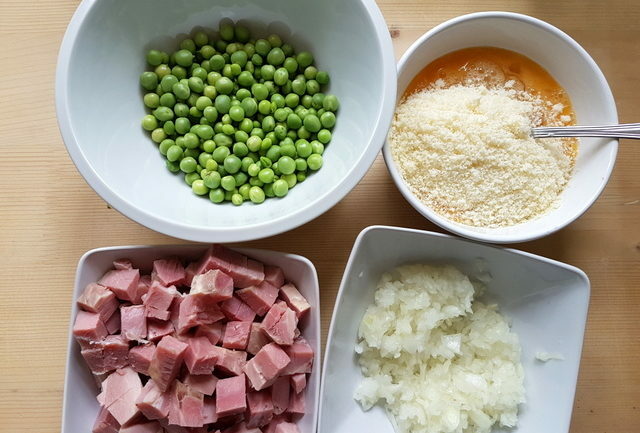 I love this recipe, it seems like there’s an authentic Italian pasta for every combination imaginable, but I never saw one with ham. The flavors sound so comforting! Wow this recipe looks amazing! 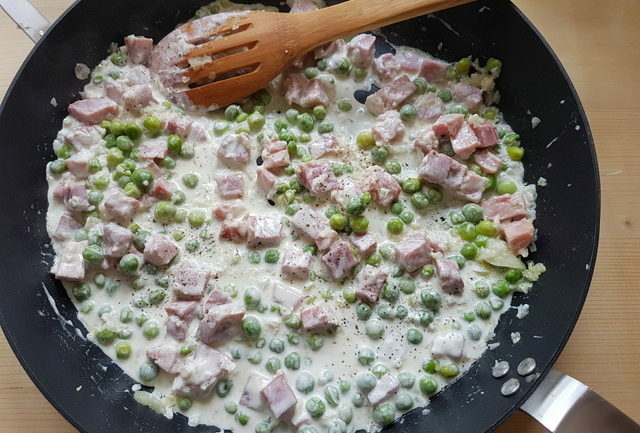 The sauce looks killer and I love the combination of peas and ham. What an interesting backstory on pasta alla papalina. I think this dinner makes a perfect Spring presentation and who can say no to all these delicious ingredients. Seconds please!